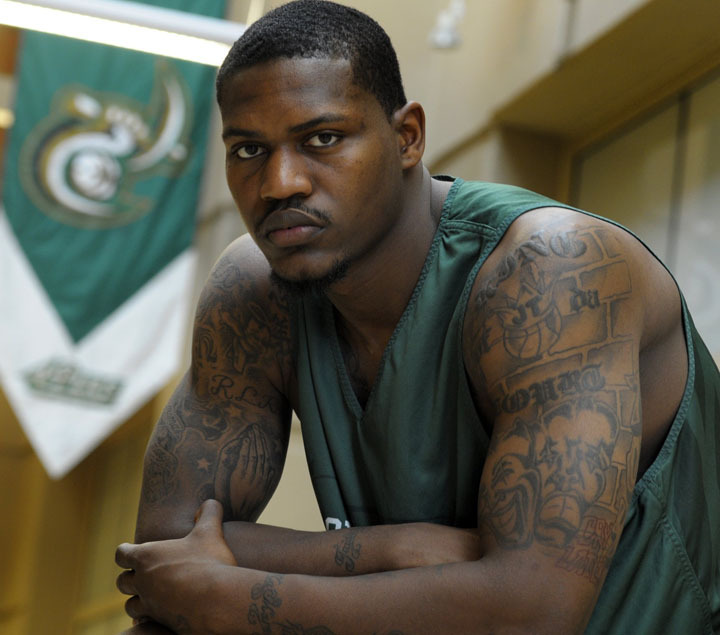 A third knee injury in three years likely has ended the college basketball career of Charlotte 49ers senior forward J.T. Thompson. Thompson, a transfer from Virginia Tech, tore the anterior cruciate ligament in his right knee in Charlotte’s 89-88 defeat against Temple on Wednesday. It was the same knee he injured in 2011, which forced him to miss that season with the Hokies. He also missed the 2010-11 season with an injury to his left knee. Thompson, a Monroe native who played two seasons at Marshville Forest Hills High, was averaging 4.3 points and 2.5 rebounds this season for Charlotte. He had played in 20 games, averaging 14.8 minutes and making one start. Thompson scored a season-high 12 points in a victory against Fordham on Jan. 16 and had at least eight points in three other games. The 49ers are also without junior guard DeMario Mayfield, who missed his third game Saturday against Virginia Commonwealth while serving an indefinite suspension for breaking athletic department rules. Exactly who didn't see this coming?